This is a perfect way to create just enough of a boundary from those hot coals. My grandpa just let me learn the lesson the hard way not to touch hot things, no matter how curious I was. 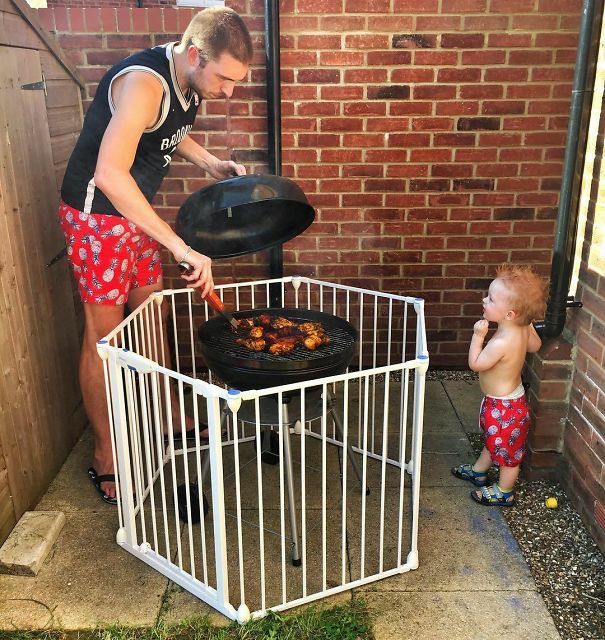 It might be a great way to keep the kids away from the burning charcoal, but it can also help prevent pets from eating the food. The great thing is that you will be able to close it during the night to keep unwanted creatures in there. In addition to that, it keeps the rain out, so your kids don’t have to end up with a soggy sandbox. Plus, the added bottom of the sandbox keeps things like grass and weeds from growing in there. 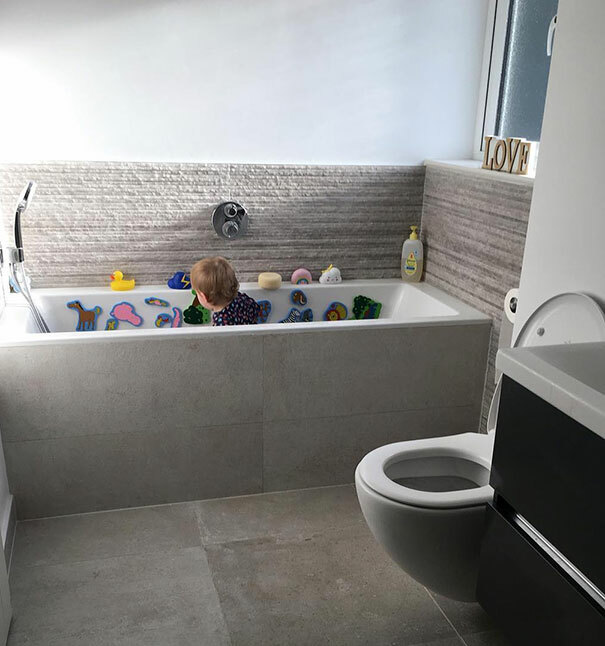 If your child needs to go to the bathroom, read ahead for the next hack that will be mess-free! We did the same thing with our mailbox. I might be old when I say this, but it was the perfect way to pass the time during a snow day. 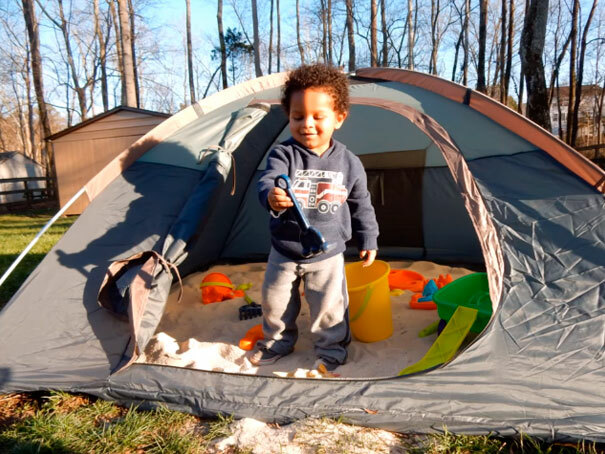 This is a low-budget way to ensure your kids can have fun outside, and who knows? Maybe they’ll develop a passion for building and grow up to be an architect! Kids can become so relentless on planes. This is a good way to keep them occupied. 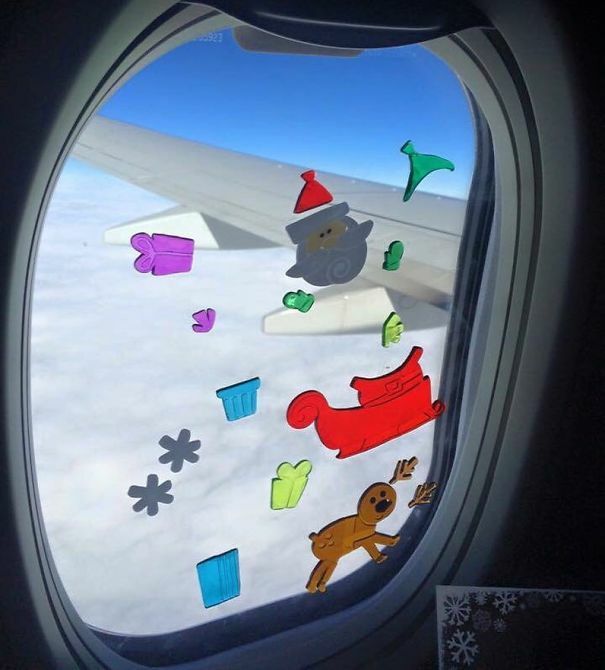 These window stickers on the plane are easy to pack, full of excitement for your kids, and super cheap too! 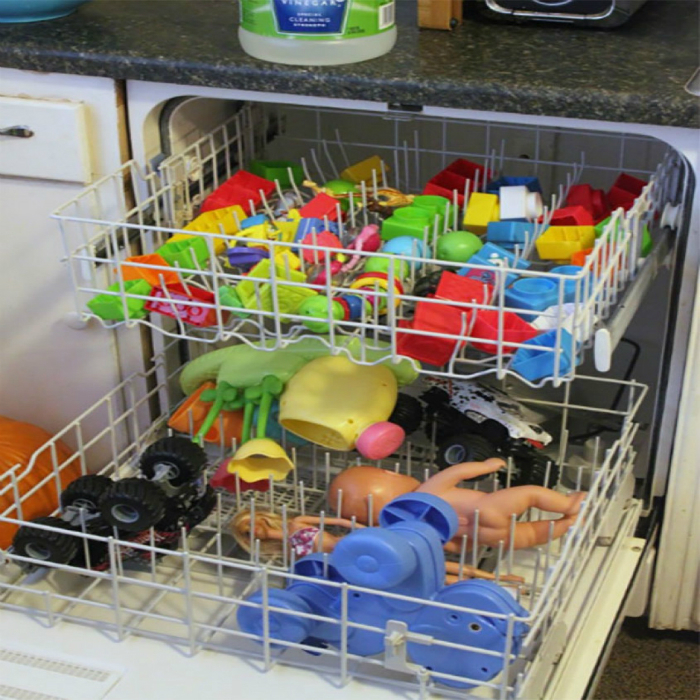 It’s a wonderful way for any kid to see the scenery high above the ground, and are a breeze to clean up! If your child needs to go to the bathroom when there isn’t a rest stop for miles, open up a diaper. Next, put that in the bottom of the potty chair. 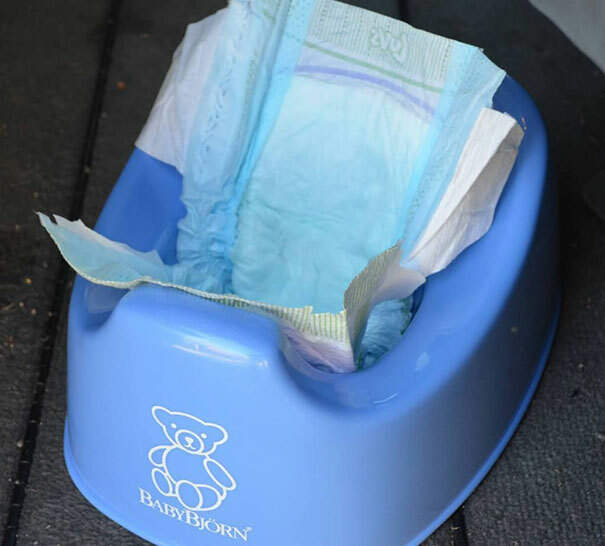 Whenever your child is done, wrap up the diaper and toss that bad boy away. See, there’s no mess left whatsoever! 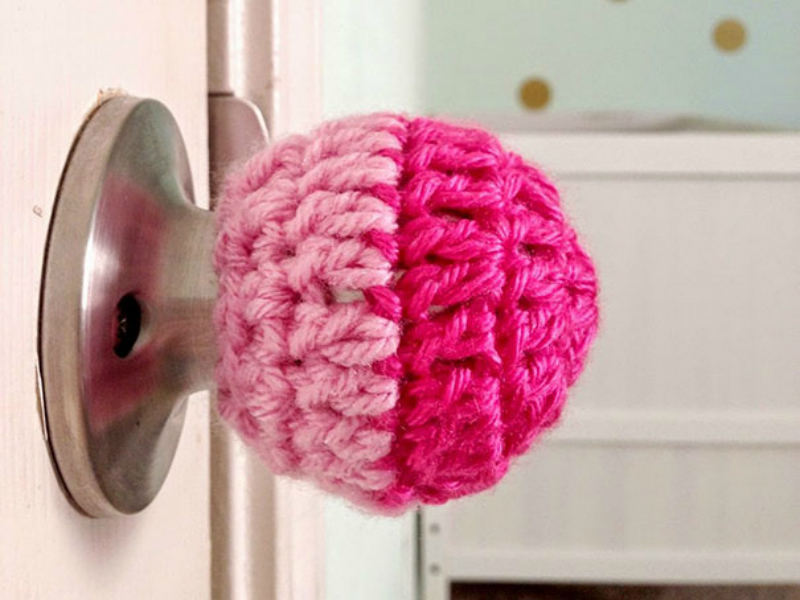 The next hack ahead is a great way to keep your kid occupied when you’re trying to clean up the house. I don’t know why, but this guy is giving off some serious daddy vibes. 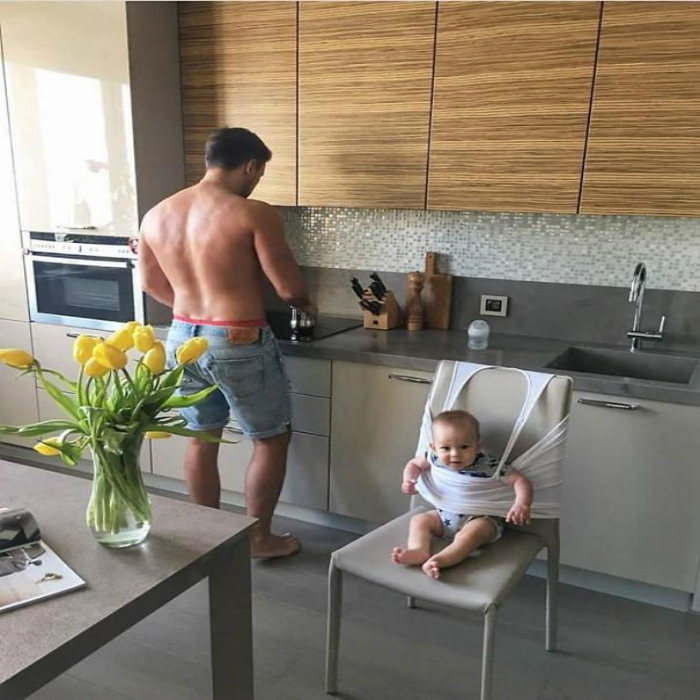 This might seem like a simple solution to keep your baby steady as your make their morning breakfast, but instead, just get a high chair with proper safety features. 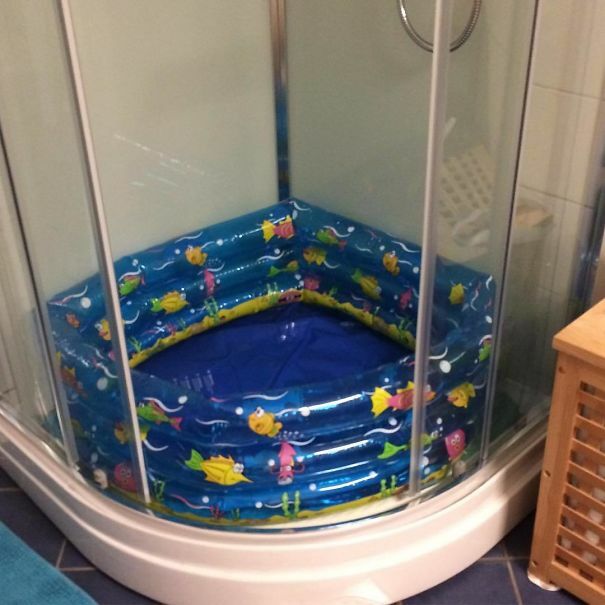 A baby can get out of that in second. 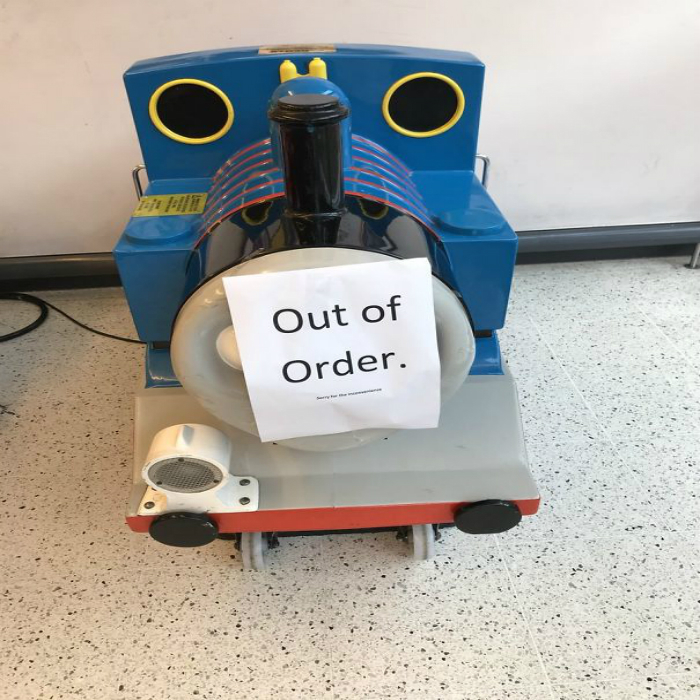 That poor kid must feel like they’re being punished. I had one of those toy car carpets with a whole town on it. 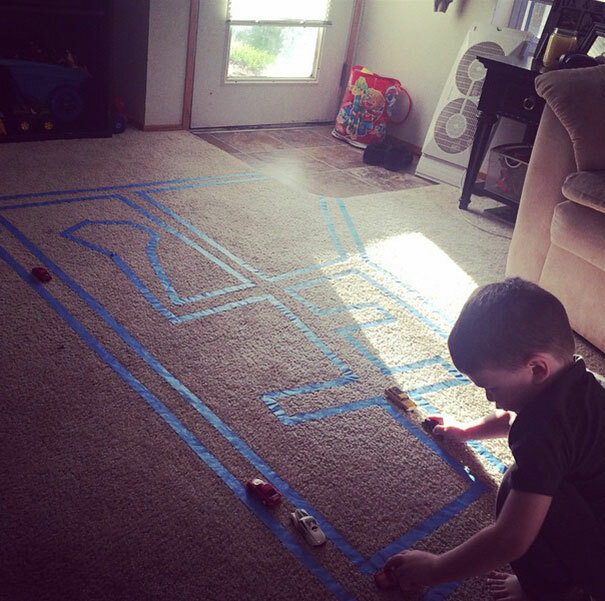 You can do that with painter’s tape, but it’s just not the same level of excitement as the toy car carpet. I don’t know if they make those carpets anymore, but it would make playtime great again! My friend’s daughter loves to do this. To her, it’s like an activity where it doesn’t feel like they’re forced into doing something they don’t want to do. I did this with marbles when I was a kid and found all sorts of different ways to sort them out. As an adult, I still find sorting and organizing relaxing. When you have more than one kid, the next hack should help you keep track of them all in public. Whenever your kid doesn’t want to eat healthy, make a simple compromise. All you need to do is cut up the fruit like this and pretend you made apple french fries. Finger foods are always more appealing. To get more creative, you can even make sweet potato fries because it’s from a vegetable! 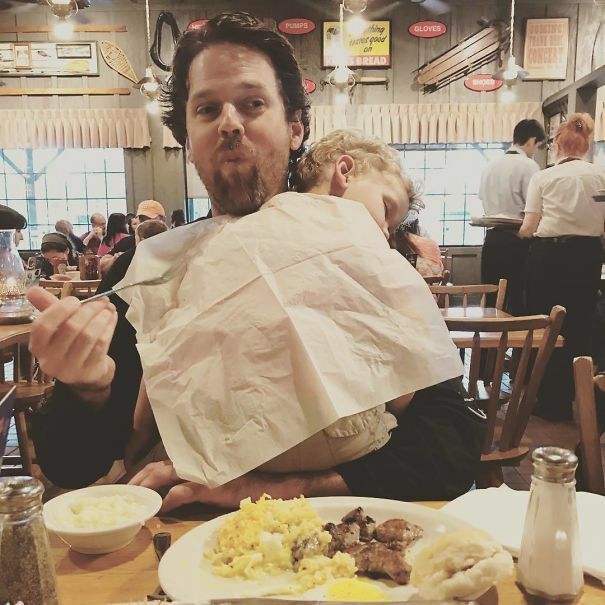 You can never stop being a parent, even if you’re trying to eat a meal out on the town. I’ve done this before, except, I sat the baby on the table, and used BOTH hands to eat. 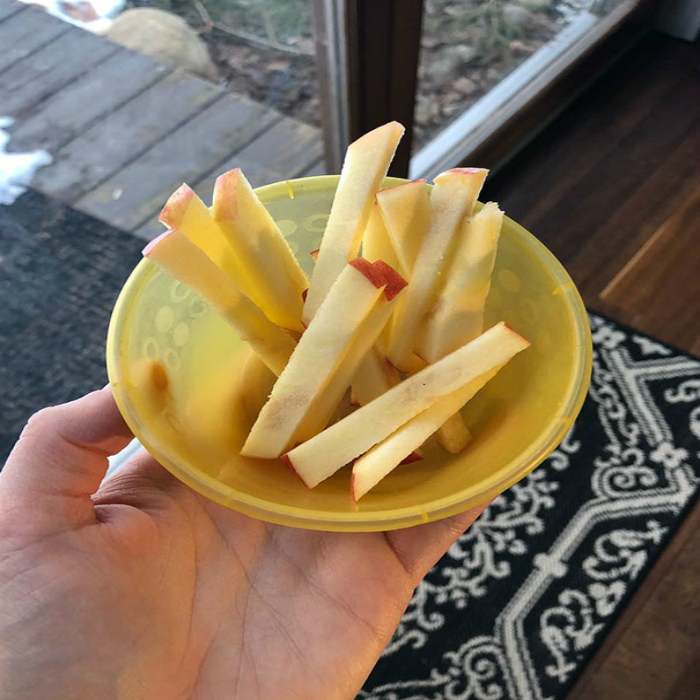 It might seem like a simple hack, but this is a clever way to let your child rest as you get as many mouthfuls in without spilling all over them. NEVER dress your kids in camouflage patterns. EMTs, Forest Rangers and Police officers will thank you. However, my family did this once way back in the day. Little did my parents know, it was on St. Patrick’s Day. Green isn’t the best color on that holiday, so make sure you choose colors that stand out from the pack. The next hack ahead will be a lifesaver for Legos. When you first look at it, it looks like it’s a pool toy. However, this is a great way to help your child build up their leg muscles without ruining your hardwood floors or banging into all your furniture. The added bonus is that if you accidentally trip over it, you won’t stub your toe! Traveling with kids is a hassle. Don’t believe me? Look it up on YouTube. What’s incredible about this is that you can actually save a bit of money on airfare. 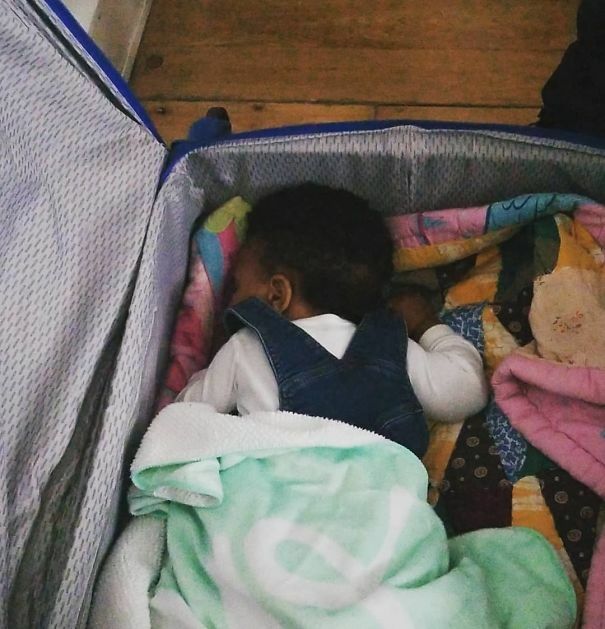 It’s tough carrying around all that extra luggage when you can just use all your extra clothes to make a comfy enough crib. What? Who has that little amount of Lego? We could have had more space in the house if we’d had put the Lego in these little pockets. As a kid, this might be a bit exhausting and a lot more boring. It’s better to have a huge pile of Legos to deploy from the box. The noise made it more fun! Some will think mixing this kid food with food coloring is a great idea, but I could see a few drawbacks. Kids are full of imagination. In fact, they’re so vigorous about doing things like this, it’s almost like they want to become a firefighter down the road. 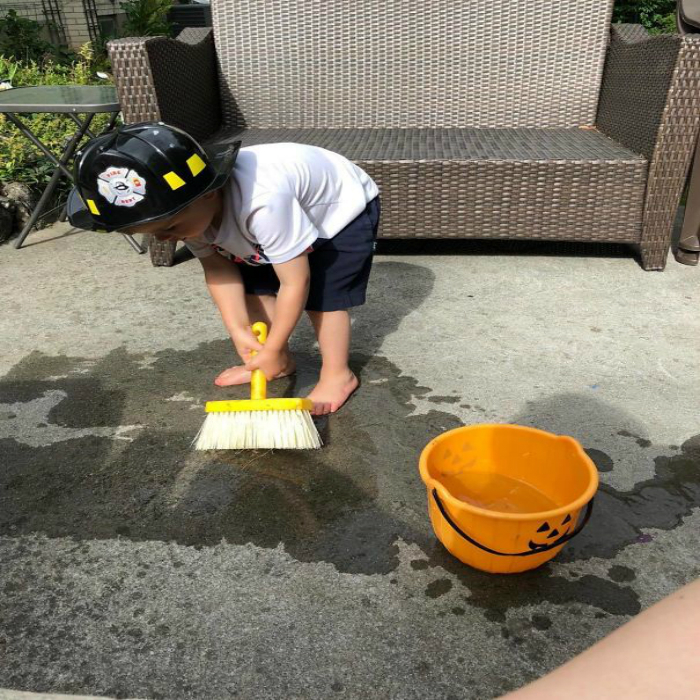 I used to give my neighbor’s kids paint brushes to “paint” the sidewalk or outer door with water. It’s a great way to get them to help out around the house. This won’t work when your babies are able to turn on the water. Based on my experience, it’s probably best to use a playpen outside of the bathroom. This is a no-mess solution, but if you all of a sudden need to use the bathroom, it could get awkward pretty quickly. 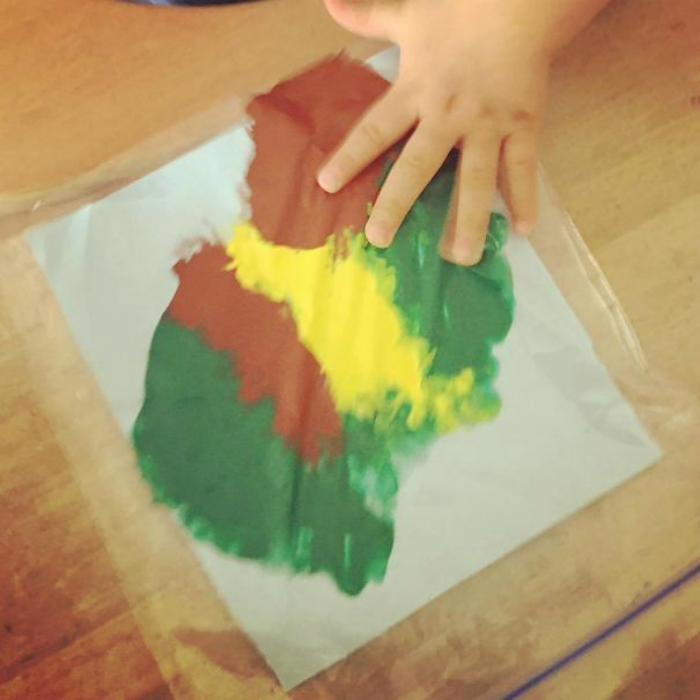 Some will say it’s a great way to teach your kids how to paint, but mixing yogurt and food coloring could actually end up teaching them some bad habits. 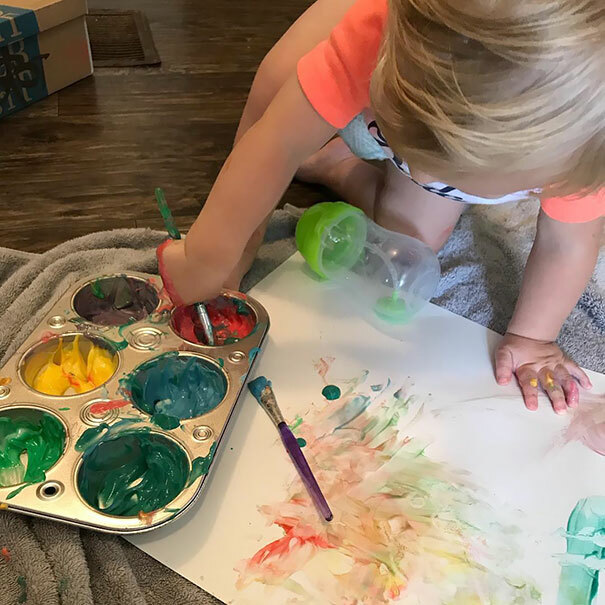 My biggest worry with this is that your kid might get the idea that it’s perfectly fine to eat paint, which is definitely not a great lesson. There’s no doubt that kids are picky eaters. The next hack ahead will make it easier for parents. For some reason, I feel this would be hard for an adult to open. While that might be the case, the safety net it provides is probably worth the added time it would take to open the door. The most terrifying part of being a parent is watching your kids getting to the height when they can start opening doors, so this could actually slow them down. This is certainly helpful for anyone with multiple children. 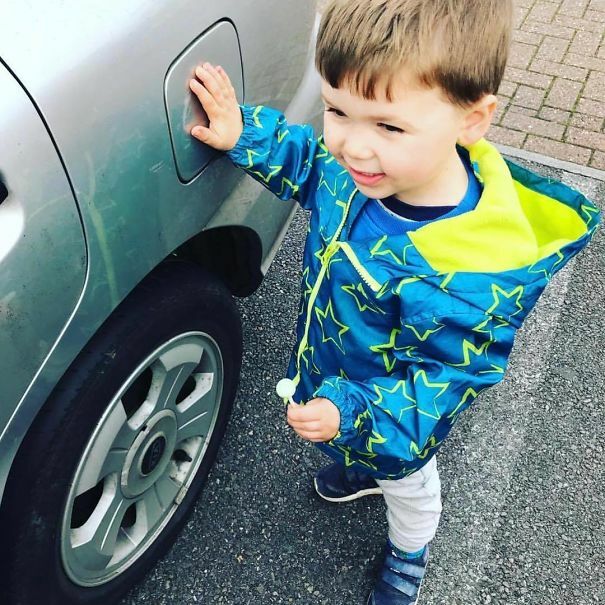 Some people have special spot stickers for their car which are great for kids. I never did this when I was younger, but it’s a good thought to have down the road. Any hack to keep your kids in check is a good one in my books. 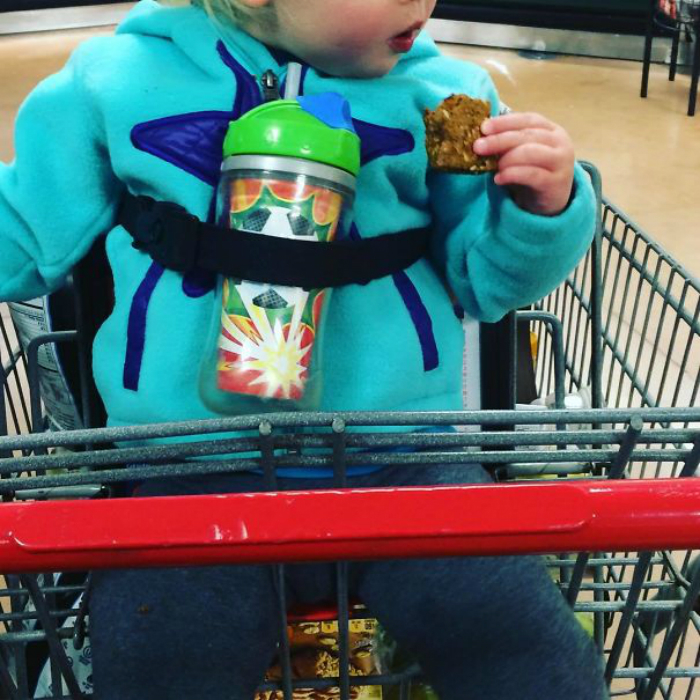 The straps attached to the cart will save your kid’s drink from flying into aisle six. It’s the ‘norm’ in the US. I, for one, have rarely seen a strap long enough to go around both my child AND their sippy cup! Actually, now that I think about it, I’ve barely seen any improvements to shopping carts in the last 30 years! 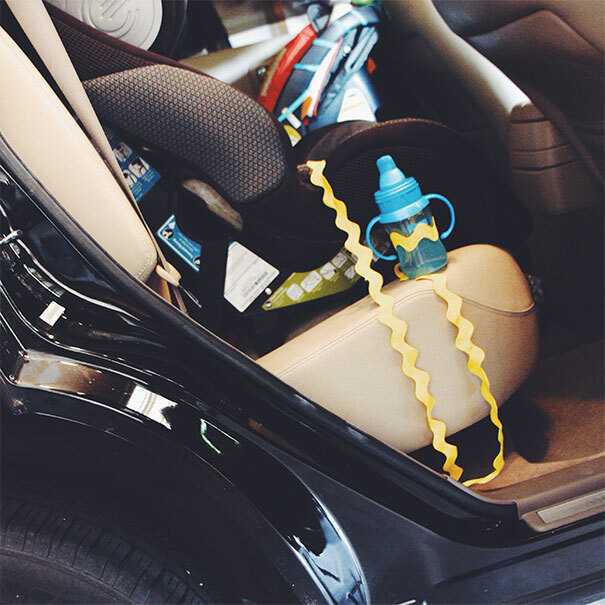 The next hack ahead is similar to this, but for the car seat. 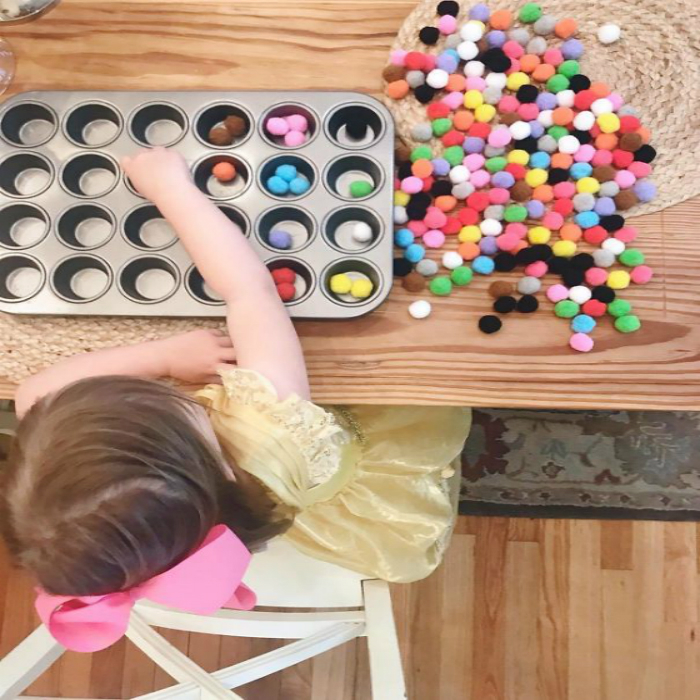 There’s no doubt that kids are picky eaters. I was a picky eater, and I’m sure you were too. Apparently, for these parents, their kids aren’t paying enough attention to notice the added oatmeal. It’s somewhat similar to giving your dog pills by hiding it in peanut butter or in a piece of bread. No matter what you’re doing, your kid is going to want to stop everything to ride this. Instead of using a printed sign, there’s another way to go about this. You could teach your kid that no means no, but be sure to let them know they’ll be able to ride it when they’re older. 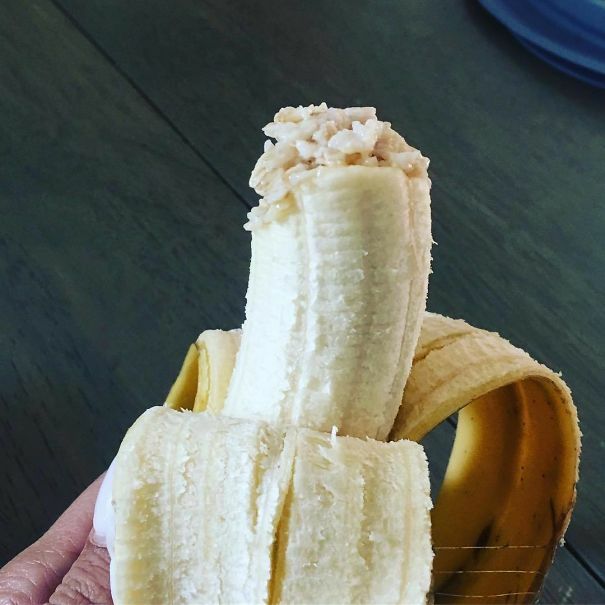 That way, you won’t have to turn around and pick it up every time your child drops it. If your kid drops it, then they can use the rope to pull it back up on their own. 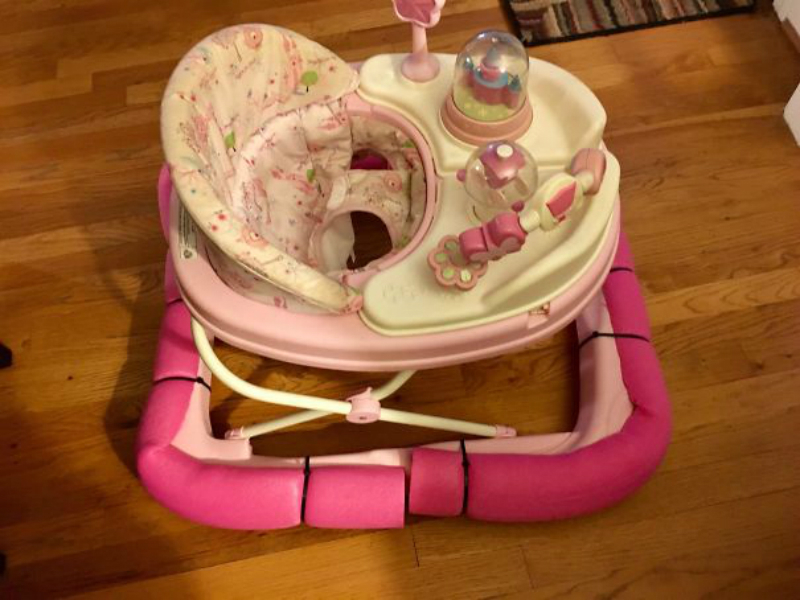 You can do the same thing for a stroller, but on a shorter string. Some kids and adults might find this weird, but the next hack ahead is cheaper than a cold pack. Some parents might be doing this already. Although, I wouldn’t say it’s completely mess-free for one particular reason. Based on some circumstances, like the infamous Tide pod challenge, don’t be surprised if every child tries to open the bag. As long as you keep a watchful eye over them, everything should be fine. 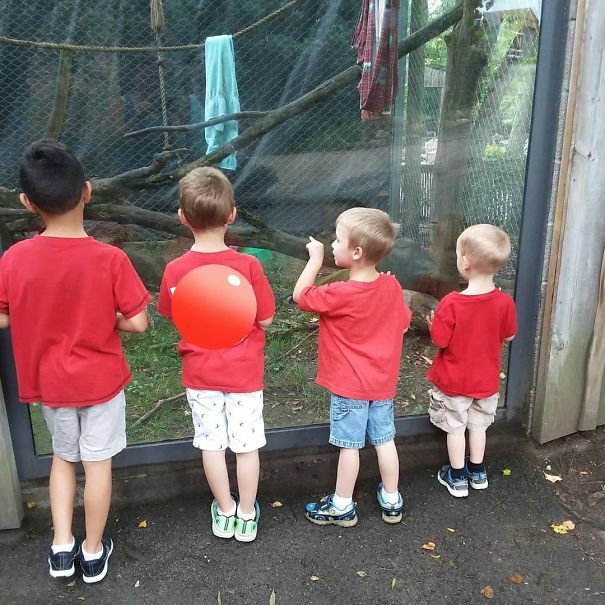 How many of us have spaces we can perfectly place a mirror to ‘spy’ on our children? What if the children aren’t in view of the spyhole? Surely the easiest option is too just walk down the stairs. 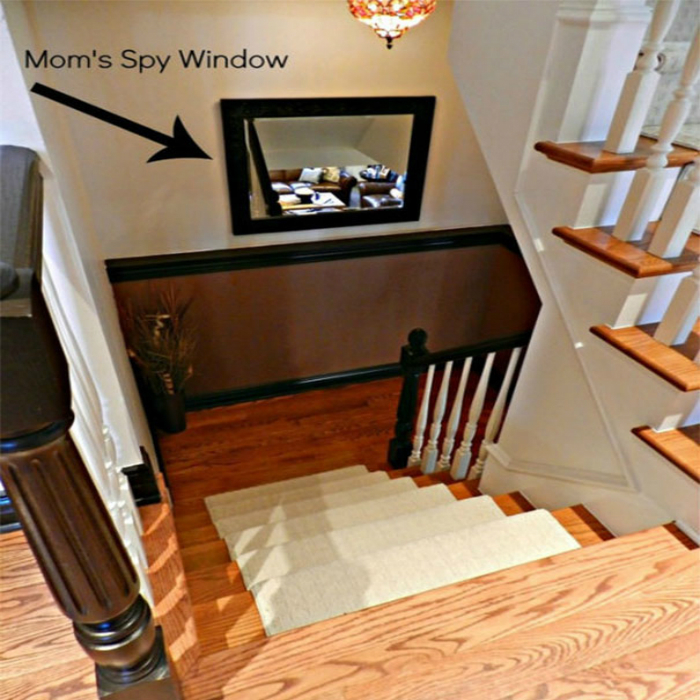 However, this is a great way to keep a watchful eye from a distance, because you know they’re listening for your footsteps, especially if they’re misbehaving. That’s actually a good idea. Some kids and adults might find this weird, but it’s cheaper than a cold pack. It’s also good for those bumps on the head too. 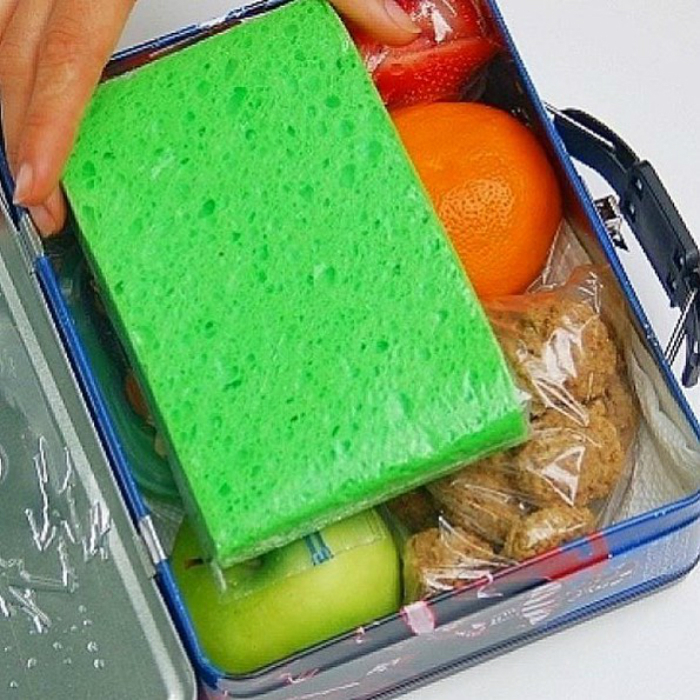 To make it a little more exciting for the kids, you could draw the face of SpongeBob Squarepants onto the sponge. The next one ahead is parenting on another level. I’m sure many parents will use this in the future. My mom would always do this with me and my sisters. It’s actually a ton of fun because it feels similar to getting to write on a wall without getting into trouble. 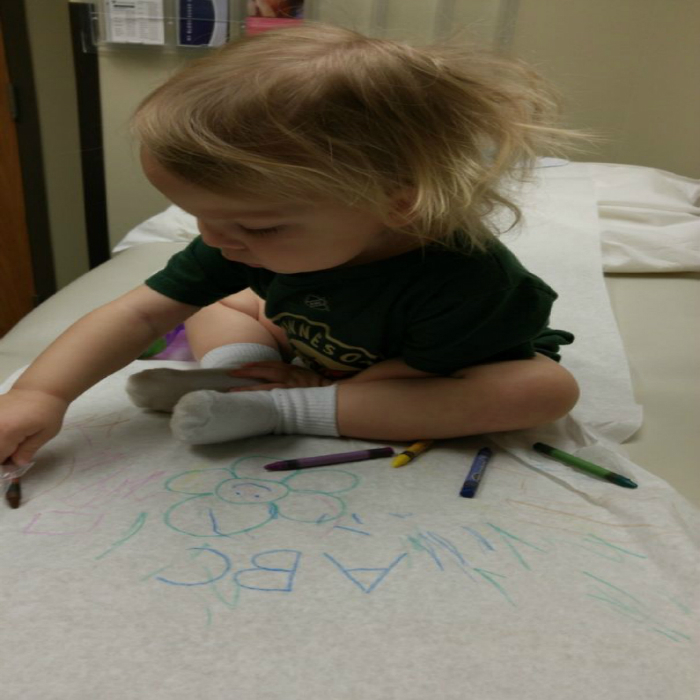 In addition to this, bring an activity book when they get older. Give a hand to these parents and this fascinating bit of information. 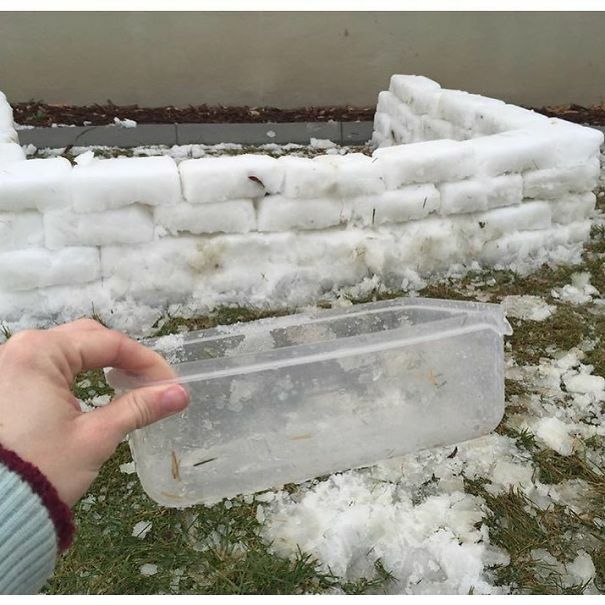 Just make sure to turn off the heat dry unless you are absolutely sure the plastic won’t melt off. 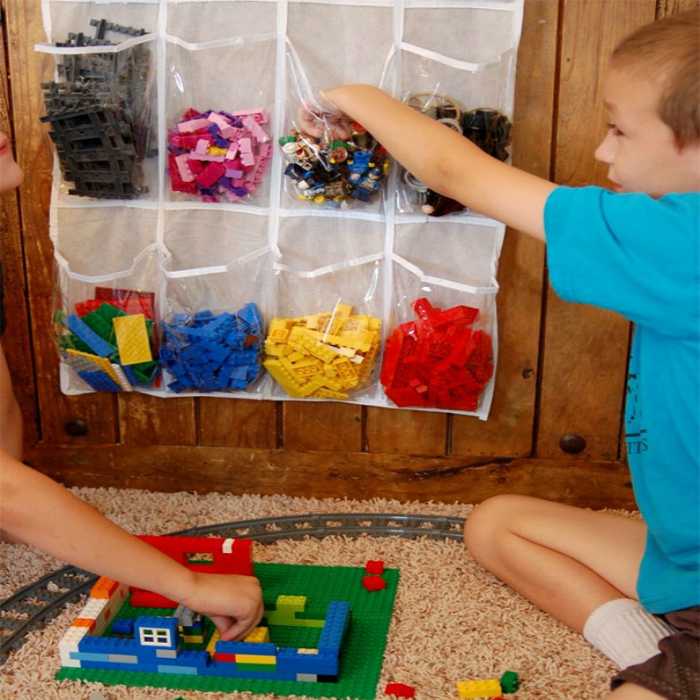 Another is putting Legos in a pillowcase with a zipper, and tie a knot in the case after you zip it close. Try doing this at Thanksgiving dinner when Aunt Debbie is asking about your love life. My family still attempts to talk to me whenever my headphones are in my ears. I bet there are some people who go to work and do this around the ones who never stay silent.